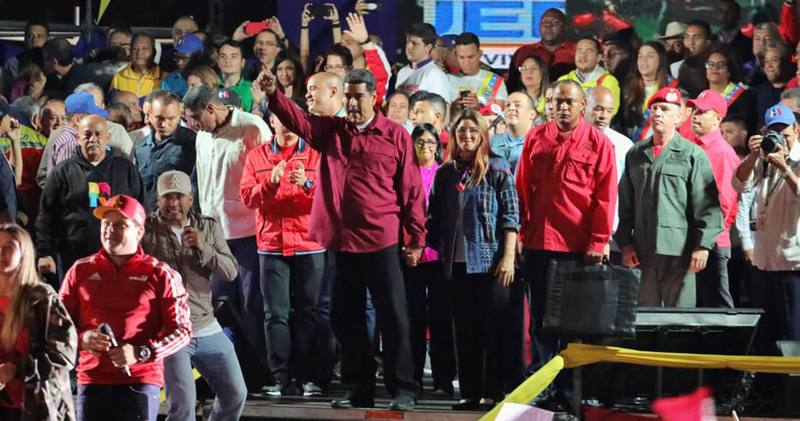 Maduro Wins — Venezuela's Political Misfortune Continues? Home / Elections / Featured / News / South America / Venezuela / Maduro Wins — Venezuela's Political Misfortune Continues? Venezuela’s 55-year old leftist leader Nicolás Maduro Moros won a new six-year term (2019-2025) on May 20, 2018. The election comes against the backdrop of a worsening economic, social and healthcare situation. Maduro has been the President of Venezuela since assuming office in 2013 and previously served under President Hugo Chávez as Minister of Foreign Affairs from 2006 to 2013 and as Vice President of Venezuela from 2012 to 2013. However, his main rivals, Henri Falcón and Javier Bertucci, disavowed the election, saying that the election was critically flawed by irregularities. Venezuela’s election board — Consejo Nacional Electoral (CNE), run by Maduro loyalists, said he won nearly 68 percent of the votes, beating nearest challenger Henri Falcon by more than 40 points. He took 5.8 million votes, versus 1.8 million for his closest challenger Henri Falcon, a former governor who broke with an opposition boycott to stand. Prior to the results, the exit polls showed Venezuelans overwhelmingly blame Maduro for their mounting troubles, he was heavily favored to win thanks to a boycott of the election by his main rivals amid huge distrust against the CNE. Earlier in January 2018, the National Constituent Assembly of Venezuela issued a decree ordering the CNE to organize the presidential elections to be held in April. The Venezuelan Electoral Observatory (Observatorio Electoral Venezolano, OEV) claimed that "the decision announced by the CNE evidence once more the political bias of the electoral arbitrator" and warned that 74 days are insufficient to guarantee the equality and transparency of the elections. "They underestimated me," Maduro told cheering supporters on a stage after winning the elections. But at the same time, he invited his rivals through an energized victory speech to join him for a dialogue about the country's future. The Trump administration said it would not recognize the result. Posting on Twitter ahead of the vote, the US mission to the United Nations called the process an "insult to democracy".